This page should answer any questions you have on bookings that you have made or are yet to make with one of our Cardiff airport hotels. If your question isnt answered on this page, please contact us. Can I include parking with my Cardiff airport hotel? Yes. We have two Cardiff airport hotels available, both of which offer parking for up to eight or 15 days. 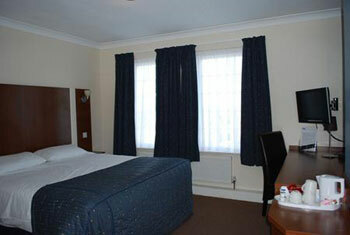 The Sky Plaza hotel Cardiff airport offers parking at Airparks - a secured car park close to the hotel and the airport. 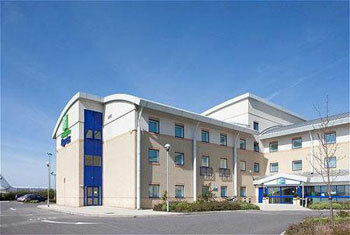 The Holiday Inn Express Cardiff airport has parking available on-site at the hotel. Can I stay close to Cardiff airport? Yes. The Sky Plaza hotel Cardiff airport is less than a mile away from the airport and the Holiday Inn Express Cardiff airport is even closer at only half a mile away. Both also run 24-hour transfers so youve no need to worry about traffic or the early wake up call. How do I request a cot in my room? Simply contact us to request a cot. Our Cardiff airport hotels supply cots free of charge, so you don't need to bring your own. Can I get breakfast at my Cardiff airport hotel? Yes. Both airport hotels offer complimentary breakfasts. The Sky Plaza hotel offers a continental breakfast and the Holiday Inn Express provides a hot breakfast for all their guests. I need to change my Cardiff airport hotel booking - how do I do this? Yes. You can contact us and we'll be happy to assist you.